Updated August 25, 2015 (originally published December 10, 2013) — The horrible Arctic weather the northern half of the USA experienced in the last 2 winters had at least one major effect – it made a lot more people interested in finding a snowbird rental for the winter! This article will give you suggestions on how to narrow your choices on where to live, give some tips on how to go about finding a winter rental, and provide a list of reader-suggested snowbird destinations from earlier this year. Note that the reader Comments made to both this article and the related ones in the “Further Reading” section are at least as helpful as those in the article itself! The keys to success in finding a good snowbird rental are quite simple: get started early, and explore plenty of avenues. Hoping to luck into something is not very likely. We think there are many advantages to renting in a warm place for some or all of the winter. There is the obvious one: it gets you out of the frozen Midwest, icy Northeast, or the dark/dreary/wet Pacific Northwest for a pleasant interlude in the sun. If you are retired and not a big fan of winter, why not be in an agreeable climate for a while? Another big advantage of snowbird rentals is that they give you a chance to see and experience different parts of the country with very little risk or expense. People who do it for several years get a very good idea of what areas they like and don’t like. Then, if they later decide to purchase a place either as a snowbird or for year-round living, they are much more educated buyers. Yet another advantage: it provides an opportunity to be near friends and family without overstaying your welcome. If you are looking for a snowbird rental for this current year (2015-2016) you are a bit late. But all is not lost. There are still plenty of options if you get on it now. And it is not too early to be thinking about the following year’s season. There are so many choices for snowbird winters that it can be a bit overwhelming. We think that by answering these questions you will be able to narrow down your choices to a manageable few. People from the northeastern U.S. often look for a warm place to winter in the Southeast, often on the Atlantic coast of the Carolinas, Georgia, or Florida. Folks from the Midwest typically head south too, possibly to Mississippi, Alabama, or the west coast of Florida. Other Mid-westerners and those from the northern plains and Pacific Northwest tend to like wintering in the sunnier parts of New Mexico, Arizona, and California. Adventurous souls keep going past those spots to Mexico, Central America, and the Caribbean. Northern Europeans like southern Spain, Greece, Turkey, the Canary Islands, South Africa, New Zealand, and southeast Asia. But there are always exceptions – you will find New Englanders who winter in Palm Springs, CA and folks from Oregon who spend January on the east coast of Florida. Many retirees tend to go where there friends go, often setting up little satellite communities. The choices are there; it’s a lot about whether you want to drive or fly, how far you are willing to travel, what is available, and how much you want to spend. The length of your trip can bear a big impact on your snowbird experience. For example if you can only get out of the cold for a week or two, there isn’t much point in going to the Carolinas. Sure it will be warmer there than in Boston. But fickle weather patterns could mean that it won’t get out of the 50s for more than a few hours of the day, and your trip could be disappointing. The shorter the trip, the further south (south Florida, the Caribbean, or southern Arizona) you should think about going. Ironically, if you can get away longer, say for 3 months or so, you won’t have to travel so far away to have great odds of experiencing many days of warm temperatures in the coastal Carolinas, Georgia, Phoenix, or northern Florida. What you want to do in your free time has a relationship to your climate choices. Fishing and swimming are going to be very chilly except in south Florida. If you just want to be outside, then South Carolina, Arizona, or New Mexico might be fine for you. Certain parts of snowbirding country are more expensive than others. 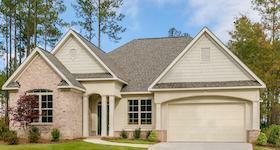 Central Florida and part of Florida’s west coast can be very inexpensive. The fancy parts of Florida’s east coast like Boca Raton and Fort Lauderdale are pricey, although there are parts of the coast that are more affordable. The type and degree of fanciness of the town or community has a huge impact. Communities that rent manufactured homes, trailers or RVs, and cottages can be downright cheap. Likewise if you own or rent an RV you can stay very inexpensively in countless RV parks. You can use Advanced Search at Topretirements to find these type of communities. 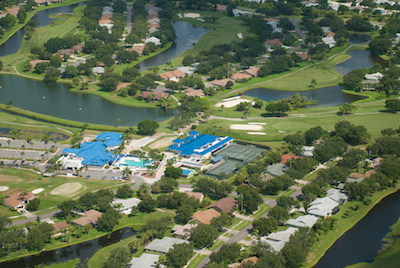 Port Charlotte in southwest Florida has many rental bargains, while just a few miles down the road in Naples almost nothing comes without a big price tag. Similarly in Palm Springs (CA) rentals are expensive and in demand, while further out areas are reasonable. Once you start looking at rentals, you will quickly see where the bargains lie. Friends. One of the best ways to find a good rental is to ask your friends who go away in winter. They just might have a neighbor looking to rent out for a month, or they can look on bulletin boards or newsletters for leads. Having some inside knowledge via the “Coconut Telegraph” is always a good idea. Online sites. VRBO.com, Homeaway.com, Vacationrentals.com are great places to start looking for a place to spend the winter. Craigslist.com have plenty of rentals but you do need to be very cautious about scams. More than one person has paid in advance to rent a place only to arrive and find a non-existent rental. A single friend of ours looking to spend the winter in FL found a very economical bedroom to rent near Naples via Roommates.com. Airbnb.com might be a very good bet if you only are looking for a room or very small place. Among all these online sites there are thousands of places that can be rented by the week, month, or longer. Obviously it helps if you have narrowed down your search beforehand, as the choices might be overwhelming. See the end of this article for member suggestions on where to consider looking. Tripadvisor.com is a good place to get an idea of what a particular town or resort might be like (along with hotel and restaurant reservations). On all of these sites, carefully consider the reader comments and feedback. Obviously, some people have axes to grind, but be wary when you see red flags. Search. A simple search on Google, Yahoo, or Live.com such as “Monthly rental apartment in Key Largo FL” can be surprisingly effective in turning up some good leads. You might also find a realtor who has some rentals while you are searching, although they are generally more interested in selling than renting. More tips – Big places vs. small. Some of the largest active adult communities have so many homes in them that the odds of finding a rental are good. The Villages, On Top of the World (both near Ocala, FL); Laguna Woods Village in California all have community boards and real estate agents that list rental opportunities. Go to the web sites of the communities you are interested in for ideas on who you might contact. Most RV/Mobile Home communities have rental units, and these are usually fairly inexpensive. You can find that type of community by using our Advanced Search. These are some of the ideal snowbird destinations that your fellow members suggested earlier this year. Obviously, this is just the tip of the iceberg. See more ideas in our “Snowbird Pairings” article listed below. Comments and Suggestions. What are some of the strategies you have used to find a good snowbird rental? Please share your ideas in the Comments section below. If you are looking for a rental here is one suggestion that probably won’t work – posting a comment here saying “…you are looking to rent a place in …?” As one Member responded to a very non-specific request like that, “You’re a bit late to the party”. We will say it again: the keys to success in finding a good snowbird rental are to get started early and explore plenty of avenues. We live in NW Indiana and in winter get our share of lake effect snow and cold. 8-9 months here is very nice but not winter, as we get older. Now that we are retired, we spent two months last winter, Jan in Orlando, Feb in Myrtle Beach. As a former resident of Orlando, I know how great the weather can be in Orlando in winter, and it did not disappoint us. We rented a 2BR home in downtown Orlando, away from the tourist areas, for $2,300. Thornton Park is a great area that has many restaurants, bars and shops all within a couple blocks of walking. We were limited as to what to rent because we bring our dog with us. Temps were in mid 70s and even had some low 80s. Great shorts weather! Jan is high season in Orlando. A bonus in picking this area was that we have a daughter living nearby. Feb we went to Myrtle Beach. We rented a two bedroom condo right on the beach. It was a beautiful location in Cherry Grove for $1100. The weather can be hit or miss, 40s-60s. This is the low season for the MB area, but a light jacket was all that was needed. Area was not very crowded and there were a lot of great deals in condos and restaurants, many two for one deals. Just ask the residents where the deals are to eat! We enjoyed walking on the beach, golfing, shopping, and hearing the waves pounding from the bedroom window. Is year we are getting ready to leave for two+ months in Orlando. We found a bigger house for about the same amount a few blocks from last years. One month just went too fast last year, so we are doubling down this year. Several friends and family plan to come visit this year. Vrbo.com has worked well for us. There are all price ranges available all over the country. Your best bet is to plan well ahead. We locked in this year’s home last January. We are even thinking about where to go next year. Maybe beachside somewhere, or maybe try Texas or Arizona. You can get an even better deal on a larger place if you share with another couple. I have a rental property in Anna Maria Island on Florida’s west coast. During the winter our island is full of Northerners looking to escape the cold. So far we have not had a winter but have beautiful sunny skies and 80+ degree temps during the day. We are the envy of the entire nation! 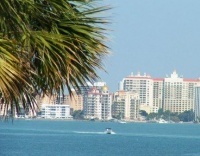 This island is gorgeous and accessible to all that Sarasota and Tampa have to offer within a short drive. The beach is pristine and voted one of the nation’s best beaches. We own a duplex on the island 2/2 on each side and it rents for $1350/week plus taxes. We have a heated pool and it is a block to the beach. A free trolley runs the length of the 7 mile island and there are no high rises or franchised restaurants on the island. It’s a throw back to the Old Florida. Take a peek, we still have a few weeks for early 2014 open. Go to: http://secure.amiaccommodations.com/rns/property/ISLANDGIRLN.aspx Our property is named Island Girl (North and West). We are on Flipkey as well. I’m trying to find the Laguna Village in California mentioned in the article using a Google search. All I come up with is “Laguna Woods Village.” Are they one in the same? Editor’s note: Good question Tom. Laguna Woods Village is the huge community located within Laguna Woods, CA. The Village community makes up most of the town. We have added links in the article so you can read more about it. I really like snowbirding. When I was growing up for many years my parents spent seven months of the year in Asheville, NC, and five months in Safety Harbor, FL, so I guess it’s in my blood. We like the NC Outer Banks in winter, though it’s really too chilly much of the time for beach and water activities, but we enjoy the relative isolation on Hatteras Island and being on the water. Many days it’s warm enough to walk the beach. Likewise I think Asheville is a great retirement and relocation destination (my latest book on the area is called Amazing Asheville), but mountain winters are too cold for most snowbirders. I agree with the author of this article that for warmer winter weather in the East you need to be in South Carolina or farther south. I also have spent a lot of time in Belize and have written three books on retiring/relocating and snowbirding there, the latest called Easy Belize (and there’s a lot of free info and free ebooks on my ad-free site, http://www.belizefirst.com). The climate in most of the country is like that of South Florida, and Belize has the advantage for many in that English is the official language, so you don’t need to learn Spanish or another language to communicate with your neighbors. Though Belize is a small country, about the size of Massachusetts, it has a lot of variety, from low mountains and hilly country in the west to savannah in the central part to coastal and island beaches. It is neither ultra-cheap nor ultra-expensive for snowbirders. I would say overall living costs are a bit lower than Florida, though you can find really cheap housing in rural areas and small villages. Gas is expensive, food costs are moderate (cheap if you eat rice and beans and local fruits and vegetables, and drink local rum), but you don’t need to pay for heat, and medical costs range from free to perhaps a third of the cost in the U.S., plus you’re next door to a safe part of Mexico for Walmart and Sam’s Club shopping and excellent dental and medical care. I am basically interested in renting furnished apartment,condo and/or house in Florida or Arizona from December to March every year. Appreciated if anyone can provide any information as to where and how to look for rentals in these two states. Thanks. Joyce, you could try vrbo.com or airbnb.com. We have stayed in downtown Orlando for the past two winters. We found a place two years ago on vrbo.com. It was 2 br 1 bath. Bringing a dog with us tends to limit the rentals. Last year, we found a larger 2br house a few blocks away for the same price. We rented it for 2 months last year. We put our deposit down on it as soon as we returned north in March. When we returned this year we put a deposit down for 3 months for next year. As a bonus, we got a $400/month reduction in rent for 3 months! Consider looking at apartment complexes and asking for a short term rental agreement. You can rent everything you need to furnish your apartment from Southern Furniture Leasing as they have monthly plans. (this is what I am currently doing) You don’t need to move into fancy furnished homes or condos. The difference in cost is amazing. I have a two bedroom fully furnished condo for rent from November thru March . It is on Lake Powell , is located on Panama City Beach Florida. There is a pool, cable, garbage service, and lawn service provided. The unit has covered parking, two baths, AC, fully furnished. Small , trained pets will be considered. Please email me for more info. Can anyone tell me where to locate MFG home rentals on the south east coast of Florida for the winter? I would assume it is cheaper than a condo or apartment. Any thoughts or comments? I have a 2b/2ba fully furnished condo in Scottsdale , AZ available for rent for this winter! email me for more details and photos of property! Currently a snowbird in Cape Coral, Florida. I found this rental by word of mouth, could not find anything online. Rentals are tight. This owner only rents for 6 months or longer, but the price is eminently reasonable. The reason many condos are for rent for 3 months or longer is because that is required by the association documents. I ended up purchasing a turnkey condo down the canal from where I am now. Being here for 6 months enabled me to take my time and look at a lot of different properties. Looking for a one month rental 2 bed 2 bath. If possible.only can do one month right now.Will take very good care of your home.looking naples,vinice,,Sarasota Bradenton,long boat key, anyone out there can you help dry frustrated can not find anything. We have a very nice 2/2.5 townhome available for winter rental in Indian Ricks Beach, FL. It is ~1300 sq feet and a short one block from the beach! No pets and no smoking. Indian Rocks Beach is a quaint little village right below Clearwater. Perfect central Florida location! We are offering through VRBO. The listing number is 667095. Please mention that you found the listing through the topretirements website and we will provide you a very nice discount! I am looking for a nice 1 or 2 B/R rental in West Palm Beach FL area for Dec, Jan and Feb 2016. Price range approx. $1500 per month. 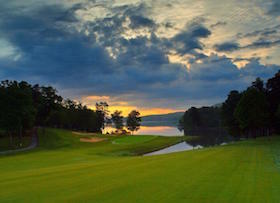 Shopping, Entertainment Rec center, Restaurant, Swimming, Spa, Whirlpool and Golf are desirable. We are looking to rent a condo or apartment in Hallandale/Hollywood/Pompano region for a period of 3 mos (January, Feb. & Mars 2016). One bedroom with A/C & wifi and not to far from the sea would be so great. By “not far from” I mean within 10-15 minutes drive. We have a limited budget (1200-1500$/mo). I have been searching at least 8-12 hours a week for the past 3-4 monts and do not know where to look anymore. I have tried all the VRBO, Homeaway, Tripping, Rent by owner, etc… so far and without luck. We have a lovely beachfront (one bedroom, two bath) condo available at Seychelles in Panama City Beach, Florida. Available for one or more months December 1, 2015 – March 1, 2016. $1100 per month. Balcony overlooking the Gulf. Lovely decor. Fully equipped kitchen. Washer/dryer. Great location. Within walking distance of St. Andrew’s Park. 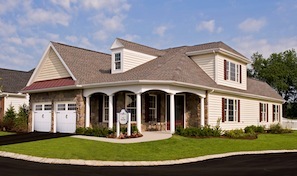 Our contact information is on the VRBO site and we will be delighted to hear from you. Looking for a clean and safe rental for February. Have small dog. We will consider gulf side and we really like Bradenton area. Looking to rent a room from another widow or single lady who already owns or has a place in one of the 55+ communities. I would like to rent from January 1st to end of March 2016. I reside in Nova Scotia. This would be my first time doing this and I think this is a good way for me to see what is available out there. Lee, Cherle, Ed, believe it or not, it’s almost too late to get a reasonably priced place in Florida for this coming winter. We have rented in the downtown Orlando area for the past 3 years. The house for the past two years was sold this winter and we looked for another. We ended up signing a lease for a house that we first rented 3 years.ago. We were recently told that this house is no longer being rented! So we have had to scramble for a new place. One of the issues you will run into is the current renters will get first preference. The popular areas go fast and rent seems to go up each year. Most places are already booked for this winter. We are already lining up a place for 2017! We plan 2 months in Orlando and a month in St Pete. Two of the best places to look for rentals is vrbo.com and airbnb.com. Sometimes, it feels like a part time job to look for a place! We are retired & looking for a 1or 2 bdrm/1or 2 baths condo or mobile home to rent for the winter in Fl. The months of Jan thru Mar. We prefer 55+ community. We are on a budget so we need something nice & clean under $950. We would like to be in the areas of Ocala, Panhandle or close to east coast. Being on water not necessary. We live about 4 hour NW of Miami. My wife will have brain surgery at Jackson Memorial Hospital in Miami sometime in September, 2015. As of today Aug 10th, the surgery date has NOT yet been set, although her Drs have advised it will be in September. Once we have a surgery date, I will use the unit while my wife is hospitalized … now estimated at 7-10 days; Upon her release, we will need to stay in the area for follow up (+/- 10 days). During that period, we both will be in the unit possibly with a nurse for medical assistance; so we need sleeping accommodations for 3. Q: Do ever publish a list of retirement rentals for boomers, i.e., apartments, condos, manufactured homes, etc? Particularly in Florida. Looking for temporary rental in the Raleigh area . Check airbnb.com. If you’re staying for more than a day or two they will rent for less. So even if a listing says one price or a certain number of days you have to rent for, let them know what you need and many of them will work with you. I know that in some areas the lodging industry, hotels, motels and B & Bs, have reported some airbnb.com places for operating a B & B or hotel with out a license, so the cities have said they cannot rent for less than 30 days. As I said, let people know your needs and they will work with you to have your needs met. Also, motels and hotels that are close to the hospital will do the same. Look for someplace with suites so that you have some furniture to sit on as well as a small kitchen. We have stayed in some places, I think one is called Residence Inn, where we had two bedrooms, Living room, dining area, two baths, and a kitchen with free breakfast in the morning. Vicki, thanks for the information. We have a very nice 2 bedroom 2 1/2 bath townhome in Panama City Beach for rent Jan. and Feb. Clean, fully furnished, heated pool, gated community, and less than 1/2 block from the beach. We are looking for a 3-4 month rental, Jan. thru Mar. We are nonsmokers and have no pets. Your home will be well cared for. Thank you for your consideration. I am a University retired professor. I offer one private bedroom with private bathroom in a very nice 1.200 sqf Condo in a very secure area in New Port Richey Florida from November 2015 till April 2016. Swimming pool, club house walking distance stores, shops, hospital, Wal-Mart, restaurants, pharmacies, gym. $ 400.00 month include utility, telephone, Internet, water, parking, pet accepted. Prefer retired lady in good health condition 55+. Philip, I would be interested in your condo rental. How can I contact you? It’s not too late for last minute plans to find a great house available to rent! This is a great location with resident only beach access a short walk across the steet. We can offer discounts on the monthly rate, just ask! Would you please send us info on your rental in Redington? Thank you! We have a beautiful home in central florida, quaint vintage citrus town, a true gem near bok tower. You will be hosted for the season for breakfast and sometimes dinner upon request more like a bed and breakfast. We can accommodate 3 snowbird ladies with their own private rooms, non smokers, no pets that are looking for an upscale living avail fr Oct 2015 to Mar 2016. I have a beautiful renovated mobile in one of the best 5 star parks in Largo Florida, minutes to many beaches , new master bath and kitchen cabinets, 1 year old AC, many extras. We have been in the park for 8 years and just purchased but now will be living in our daughters home. The home is up for sale , but need it out of our hands, so may make a rent to own deal beginning as soon as possible. It is mostly furnished , really only missing one bed and some more dishes. Would love to talk to anyone interested. We found it crazy to rent every year when owning makes more sense. 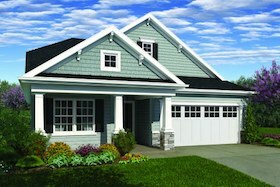 The mobile #181 can be seen on the quality homes OakCrest MHP site , or call to talk and deal. Looking for a winter rental Jan 1 2016 thru March 31 2016. Anywhere in Central Florida to South Florida. Need 2 bedroom and 2 baths. Anybody know if we will be able to rent a place with 2 bedrooms 2 baths for two people and two cats? It would have to be along the ocean side from Jacksonvillle south to maybe the Space Coast or the Gulfside, St. Pete but not as far as Naples. If we find a location we might want to actually move to we would like to rent there first. I don’t have a dog in this race, but am just reporting what I observe. Rentals are available in our area. Looking for a winter rental Jan 1 2017 thru March 31 2017. Never too early to start they say…. this is a new offering…. BEAUTIFUL WATERFRONT IN HUDSON FLORIDA. WE HAVE A 1 BEDROOM 1 BATH HOME AND A 2 BEDROOM 2 BATH 2007 MODEL HOMES, FULLY FURNISHED FROM ALL FURNITURE, APPLIANCES, MANY SMALL KITCHEN APPLIANCES, LINENS, POTS AND PANS, DISHES, AND A NEW 50 INCH TELEVISION. THEY ARE NICELY FURNISHED. LARGE WOOD DECK OVERLOOKING OUR PRIVATE CANAL WITH DOCK FOR YOUR BOAT THAT GOES TO THE GULF OF MEXICO JUST 2 BLOCKS AWAY. LARGE 1 CAR GARAGE WITH OPENER. WE HAVE 3 ACRES OF A PARK LIKE SETTING WITH PALMS AND OTHER SHADE TREES THAT IS WELL KEPT. WE ARE JUST 2 BLOCKS AWAY FROM A VERY LARGE MARINA AND WATERFRONT RESTAURANTS AND A COUPLE MINUTES AWAY FROM WALMART, RESTAURANTS, MANY GOLF COURSES, BOWLING ALLEYS, AND MUCH MORE. 1200.00 PER MONTH WITH MINIMUM 3 MONTH RENTAL. ANY ADDITIONAL MONTHS RENTAL WE WILL GIVE A 30% DISCOUNT. RENTAL INCLUDES WATER, GARBAGE AND SEWER. WE HAVE FRIENDLY RESIDENTS HERE WHO ARE HERE TO RELAX AND ENJOY THE FLORIDA SUNSHINE IN THE WINTER, JUST LIKE YOU! THIS HOME IS ALSO FOR SALE, VERY REASONABLE. For anyone looking to “snowbird” in Arizona, or just coming to check out the area as a possible retirement locale, I have a room in my home that I’d love to rent out: by the day/week/month (must smoke outside if you are a smoker, but non-smokers much preferred). I have a beautiful lagoon pool to lay by in my backyard, and the Fitness & Aquatic Rec. Ctr. is just 1 mi/19 min. walk from my house for swimming & water aerobics & working out. OLLI classses are avail. at ASU West 3 mi. away, & ASU Tempe about 45 min. away. WiFi, internet, cable TV, laundry, kitchen all available for your full use. Even your pet(s) may well be welcome-let’s discuss: I have a loving 24 lb dog, and a cat (indoor, rarely seen). I’m 200′ from the park & walking distance to the dog park…. and library (offering free admission tickets to various attractions). Over 100 restaurants, 45+ movie screens: all located within a 10-15 min. drive. My home is located 1 min. from the Loop 101 freeway (in the NW Phoenix area), 2 mi W of I-17 that goes from Flagstaff to Tucson (& further) so it’s incredibly well-situated for exploration of Arizona. I’ve been all over Arizona, so I can be a great resource as well. Please contact me at tekirisma@gmail.com for rates and photos. BTW I’m an RN, 63, & either unemployed or retired: yet to be seen/decided. Re. DAILY / WEEKLY / MONTHLY room RENTAL in ARIZONA : Sorry….. so busy telling you about the great location of my home that I forgot to say that the room has a queen bed, my dog is hypoallergenic, and I’m asking just $650/mo. incl. all utilities (or $185/wk; or $35/nt). Wish I could post my photos here! I’m quiet, friendly, respectful of your privacy, open-minded/”live and let live” philosophy, love to laugh, love great conversation and sharing personal philosophies and experiences, reading, photography, learning and collecting new life experiences. Welcome to my home and the Phoenix/ N. Glendale area! Anne, would love to see some pictures. My email is bjm114@gmail.com. Thanks! Has anyone considered renting a stationary motorcoach as their winter home? Its a fantastic way to live and a great alternative to a traditional house/condo. We are offering our large motorcoach for rent in Margate, FL (Margate is located in the Great Fort Lauderdale area). The motorcoach is parked in a luxury motorcoach resort with tons of amenities. The resort is gated and contains more than 600 luxury motorcoaches. The community is very warm and inviting. If you are interested, please feel free to email me at motorcoach@bigboatco.com and I can provide you with a link to our VRBO listing. I’m looking for a 1-2 bedroom, 1-2 bath condo-townhouse in any of the sunbelt areas of the country. for $1,000./mo and under. Has to be clean with good clean carpeting and be an up-to-date unit. I would like to spend Jan.15th thru May 30th there. You can email me direct at soldbytj34@gmail.com. Would also need to have tennis facilities with-in 25 miles of subject property. Thank you much !!! TJ. Looking for condo for month of February 2016 on east coast of Florida. Vero Beach and south to South Hutchinson beach . 2 senior adults. 1 bedroom would be fine. I am also looking for a pet friendly rental for the month of February preferably on the Gulf side. First time to blog on this retirement site. Looking for RV park in Florida that yes reasonable monthly fees during Jan thru March. Any suggestions appreciated. Just had a cancellation because of health, so it is available again………WE HAVE A 1 BEDROOM 1 BATH HOME, IT IS A 2007 HOME, AND IT IS FULLY FURNISHED FROM ALL FURNITURE, APPLIANCES, MANY SMALL KITCHEN APPLIANCES, LINENS, POTS AND PANS, DISHES, AND A NEW 50 INCH TELEVISION. LARGE WOOD DECK OVERLOOKING OUR PRIVATE CANAL WITH DOCK FOR YOUR BOAT THAT GOES TO THE GULF OF MEXICO JUST 2 BLOCKS AWAY. LARGE 1 CAR GARAGE WITH OPENER. WE HAVE 3 ACRES OF A PARK LIKE SETTING WITH PALMS AND OTHER SHADE TREES THAT IS WELL KEPT. WE ARE JUST 2 BLOCKS AWAY FROM A VERY LARGE MARINA AND WATERFRONT RESTAURANTS AND A COUPLE MINUTES AWAY FROM WALMART, RESTAURANTS, MANY GOLF COURSES, BOWLING ALLEYS, AND MUCH MORE. WE HAVE FRIENDLY RESIDENTS HERE WHO ARE HERE TO RELAX AND ENJOY THE FLORIDA SUNSHINE IN THE WINTER, JUST LIKE YOU! $1200 plus deposit. THIS HOME IS ALSO FOR SALE! VERY REASONABLE. Not having much luck. Looking for an inexpensive 1 bed and have searches several websites but the apartment owners want a 6 month rental agreement, and we want to stay for 1or 2 months and explore other states. What to do??? New on market a 2 bedroom 1 and half bath Condo in Dunedin, FL. Available now through April 7, 2016. Only $2,000 a month, plus $1,000 deposit, $125 cleaning fee. All of your basics are here! Just bring your luggage! This unit includes all basic appliances, coffee maker, microwave, toaster, washer, dryer, dishes, dishwasher, garbage disposal. Rent also includes Cable, Wifi, Water, Garbage, $100 worth of electric each month. If you have not been to Dunedin you are missing a great small town feel near the big city. Condo has pool, shuffle board, tennis courts and BBQ area. If you are interested just give me a call. the phone number, 859-803-4532. Looking for a place in Florida (south enough to be warm) for January, February, and March. First time looking for winter rental. Looking for a 2-3 month rental 2017 is SW Florida. Areas: Ft. Myers, Bonita Springs, Estero and the surrounding vicinity. Prefer to stay around $1400/mo or less if possible. February we need to be NE for a wedding mid-month. Otherwise March April. If reasonable enough we would add February. Thank you. We are looking to relocate to the area so we need easy access to major highways without staying on one.Thank you. Barb Kay, good luck to you. Prices in the area you’re looking at are $2500 and up–way up–during the season. Anything you find for $1400/mo will be substandard and in a very sketchy area. 2BR, 2BA condos in my complex rent for $3000/mo during the season. Shared accommodations with senior female at The Bluffs in Sebring, Florida (central Florida). Bedroom/private bath in condo. Male or female retiree as this is a 55 and older community (no couples). Condo is fully furnished. Search The Bluffs in Sebring, Florida to view a video. For more information you can contact me @ gewinclements@gmail.com. Quiet/gated community. condo is available November 1 to May 1, 2016. $1,200. The Bluffs, Sebring, Florida. $1,200. a month. This unit is upstairs and has 3 bedroom/2 bathrooms. Please check out “The Bluffs” in Sebring, Florida and select video. There is no better place to be a snowbird than Greater Palm Springs CA/ Sun, Mountains, Golf, Tennis, Pools, etc. It is beautiful in the desert. We recently renovated a mid century home in Rancho Mirage on a 1/2 acre private lot, with heated pool & spa. We are currently available for rent from October 18 2016 – February 28, 2017. The Snowbird Company boasts a myriad of highly-visible websites, known as ‘The American Snowbird Network’ – visit http://www.AmericanSnowbird.com to see comprehensively all rentals in their network. Multi-Month rentals advertised by property owners and rental managers. I have a great lakehouse in Texas, north of Houston which i am looking for snowbirds. Please contact me for me info. Its furnished very nicely and in a guard gated golf course community. Lake lot, very quiet..lovely !!!! I’m interested in Orlando area snowbird senior rentals. Preferably between the months of December and May. Preferably in the price range of $500-$800 a month. 1 bedroom, 1 bath, living and dining area, pool, workout facility. Looking for a one month rental in Corta Bella Az, for the months of either 1/18, 2/18 or 3/18. Two people and two small dogs(Boston Terriers). Your best bet would be to check Online Rental websites like VRBO and Airbnb. If you go to the websites of the towns and areas you’re interested in, they often have links to Realtors who may be able to help. Hope this helps!! Good luck! One option at thesnowbirdcompany.com .. select a state and go from there. I would like to rent a condo with no steps for two and a small well behaved dog that rarely barks. We are over 63 and retired on a budget. Navy family. We are in Fort Morgan at the moment . Open to any where that has water views of some kind. My wife and I are looking to rent a one or two bedroom furnished condo in Mexico or Belize January to March 2019. Our price range is $900 to $1150. Please contact us if you have a place. Since I missed out on finding a Florida rental in 2018, I am now searching for next winter. Just starting but finding many are three month rentals, is that what the norm is ? I just want one month or two at the most. Sunny, most rentals we have researched are for three months, however only during peak winter months. We are renting a home in Arizona begin this April for a month, as we wait for our home to be completed. You might look at off peak times for shorter rental agreements. Sunny – Check the FL regulations. Anything (rental) < 90 days, the provider has to charge the renter the SAME tax rate and charges that hotels charge, which years ago when checking it was quite large on a daily rate to a retiree. The law was specifically designed to dissuade incidental rentals that you and many others wanted. Sunny, most condos have a three month rental minimum in Florida. Homeowners Associations put that in their documents because they do not want people coming and going like in a hotel. You will find some places that rent by the week, but they are far more expensive. I have some friends that rent a house for two months every year, but that’s unusual. One month will be very tough. Here is some information on Florida’s tax on rentals. (I just did a copy and paste). I also put in a link to the entire PDF. You actually have to rent for for more than six months or you will have to pay rental taxes. Rich is correct in the txt assessment of rentals. They differ by county but ive seen rates of 8-9% to 10% for Collier county to 13% in Miami-Dade. Lee County assesses an 11% short-term (less than 6 months) rental tax. Thank you all for your information and quick response, vey helpful to know what I am facing. I’m looking to find just the opposite of most everyone else! I’m a resident of South Florida, and have been trying to find an affordable 1bedroom apt. to rent for myself (70yr old) and my 2 indoor cats during the May – October time frame – trying to get away from the heat, humidity and hurricaines. I’m originally from upstate New York and love the summers up there, but no longer have family in the area.. I know there are a lot of people up north who spend 3mos. or more at their cottages in the summer. I could certainly “house sit” for them. Know of anyone? Any ideas? Here you go Marsha…good luck….. Thanks DDM. I’ll give it a try. I am newly retired and obviously didn’t start reading these blogs soon enough thinking I would find a snowbird rental somewhere in southwest FL. but didn’t start looking until Sept. and found this is not easy. So this week I was thinking after reading about red tide and then another hurricane hit that finding a rental on either coast would work out but not so. When do the lucky people start looking to rent in Florida, I know you suggest looking early, but do I need to do this a year in advance ? After reading about red tide, and hurricanes, and not mentioning sink holes and humidity, and others mention bugs, why would you still be interested? I do like Florida but cant afford to have it as a second loocation that is safe. Sorry. I moved to Az 4 months ago and as of today they have had their wettest October in history, but it doesnt change (yet in public notices) the water issues here, i moved from CA, which has its own issues. We typically start looking a year in advance for wintering in Florida. Sometimes we reserve the same place again while we are there. However some owners won’t reserve that far in advance. I am confused … always thought I would find a little cottage near the ocean or in the trees for retirement. Hurricanes and fires and floods are making my most desirable areas undesirable. Is there anywhere safe? A small town with history and people who are neighbors? Editor’s note: How timely is your question PamE! We just this minute published our latest Blog article, “Thinking About Retiring to an Area with Hurricanes“. It has a lot of advice you might find helpful. And to answer your question, there is almost no place that is safe from some kind of natural disaster – wild fires, hurricanes, tsunamis, ice storms, tornadoes, floods, earthquakes. Drew, Bill said it — some owners won’t rent a year in advance, but that is not the norm. A year is a reasonable time to look ahead; six months may be too little (as you found). To celebrate our 50th, we did the search 18 months early. We found and locked in a nice place and in a recent visit to Florida, were able to go by to verify that the location is what we wanted — still a year in advance and time to start the search over if needed. There are many options for longer term rentals, but consider that there are many others looking for the “best” and that those who find a good place may well want to book again for the following year. So for my part it is, “yes” a year in advance and possibly more. Thank you for your very helpful comments. I did find that there are more places offered if it is long term-3 or 4 months, but we can’t stay that long, and as you mentioned the other problem is those that want to return the following year get to book first and I have been told several times that the owners are wait to hear from previous renters before they say yes to me. But I have my name on several lists as do hundreds of people I’m sure and we will see what happens for this year. I have gotten serious about looking and booking for 2020 now. Sounds like the way you did it worked out well for you.